The Gulf state’s largest lender says it will pay National Bank of Greece 2.75 bln euros for Turkey’s Finansbank. A price equivalent to around one times book value looks cheap. But business conditions have worsened. Qatar National Bank may find it hard to generate economic profit. 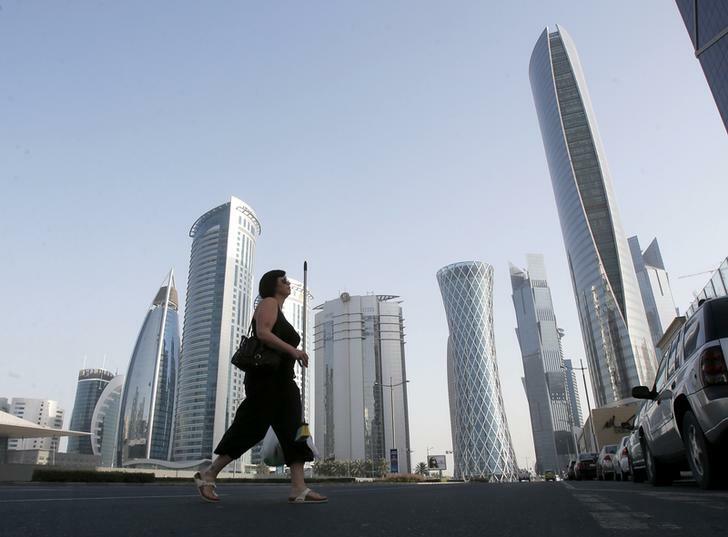 A woman crosses Al Wahda street hosting the Navigation Tower, headquarters of Qatargas (R), and Rasgas tower (2nd R) in Doha. Qatar National Bank, the Gulf Arab region’s largest bank by assets, agreed to buy National Bank of Greece’s entire 99.81 percent stake in Turkey’s Finansbank, the two banks said on Dec. 22. The consideration for the transaction amounts to 2.75 billion euros, NBG said. The Greek bank said that in addition QNB would repay $910 million of Finansbank subordinated debt, increasing NBG’s liquidity position by approximately 3.5 billion euros. The transaction has been approved by the board of directors of both banks and the General Council of Greece’s bank rescue fund - the Hellenic Financial Stability Fund - QNB said in a statement.